confront his future. This thought-provoking book encourages readers of all ages to reach their full potential using these simple keys to success. point in his life found himself homeless, sleeping occasionally under a pier on the gulf coast or in someone's garage. He begain to ask himself, "Is life just a lottery ticket, or are there choices one can make to direct his future?" Over time, he read more than two hundred biographies of great men and women. How did they become the people they were, he wondered. Were they simply born this way? Or were there decisions made at critical junctures in their lives that led to such success? Andrews finally determined that there were seven characteristics that each person had in common. This became the basis for his story in The Traveler's Gift. 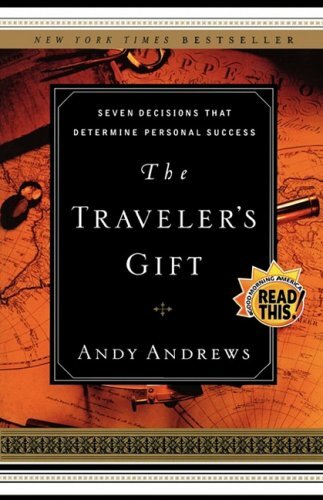 Andrews also wrote The Butterfly Effect, The Heart Mender, The Noticer, and The Noticer Returns.